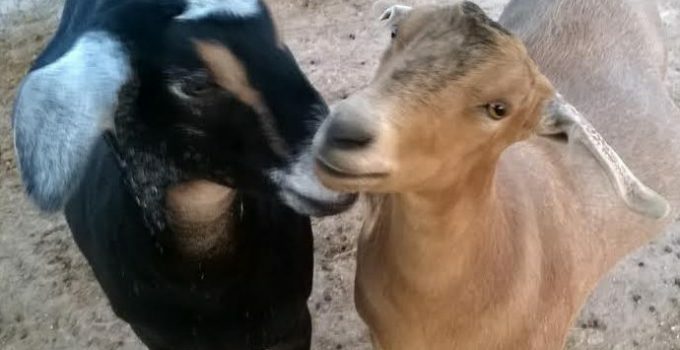 These two mini-nubian goats are from Buttercup & Betsy’s first kidding. They’re approx. 2yrs old, very well cared for, loved, and in great shape. Their family is having some difficulties, and they are no longer able to care for them, so we’re helping them find a new home. Khaki is a doe, Truffles is a wether. 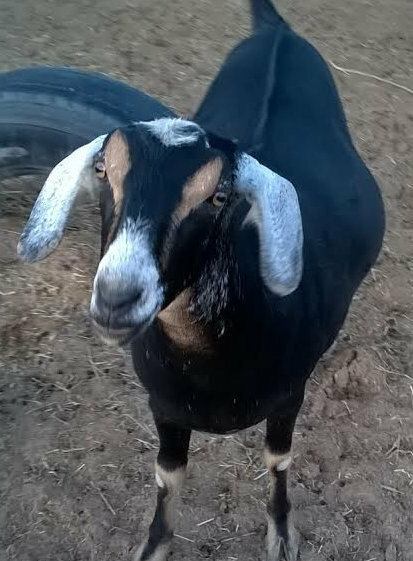 They are mini-nubians (3/4 nubian, 1/4 nigerian dwarf) so they’re mid-sized. Both were attacked by a bobcat when they were about 6 months old. Their owners spent thousands of dollars and a lot of energy and tears hospitalizing them and caring for them during their recovery. They’re very attached and would love to receive occasional updates from their new home. 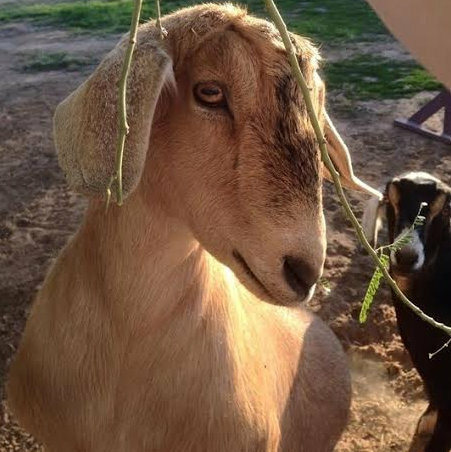 The goaties have healed completely, but Khaki is unable to have kids due to the injuries she received. They haven’t been around any other goats since they were born here at the farm, so they are presumed CAE / CL negative since their mothers are negative. They’re used to being around dogs. They are not edible, despite the chubbiness. : ) They are pets only, and we are looking for a home where they can stay together. Adoption fee is $70 for both, to an approved home. You must have shade/shelter and secure fencing. If you’re interested, contact me or fill out an adoption application. Update, August 2016: Khaki & Truffles have been adopted! 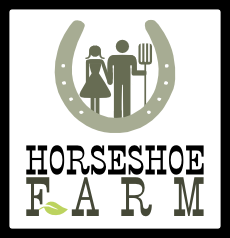 They have a great new home on 5 acres in Gilbert where they can run, play, eat grass & weeds, and climb dirt hills. It’s a goat’s dream come true! 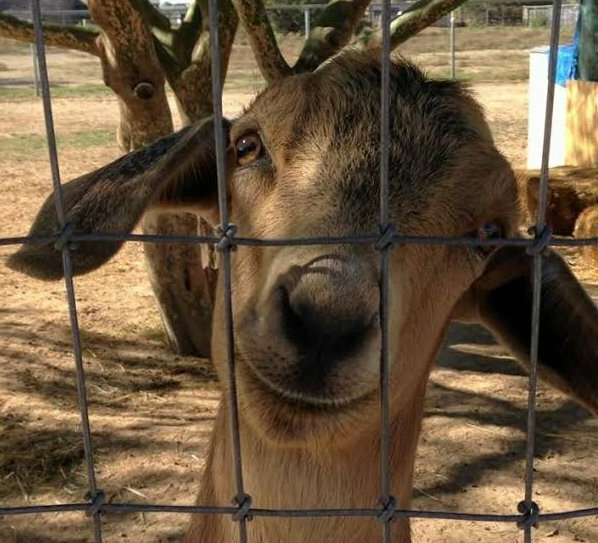 Thank you to all who inquired about adopting these two very special goats!